Beginner Samba de Gafieira may be the upcoming event you’re looking for. 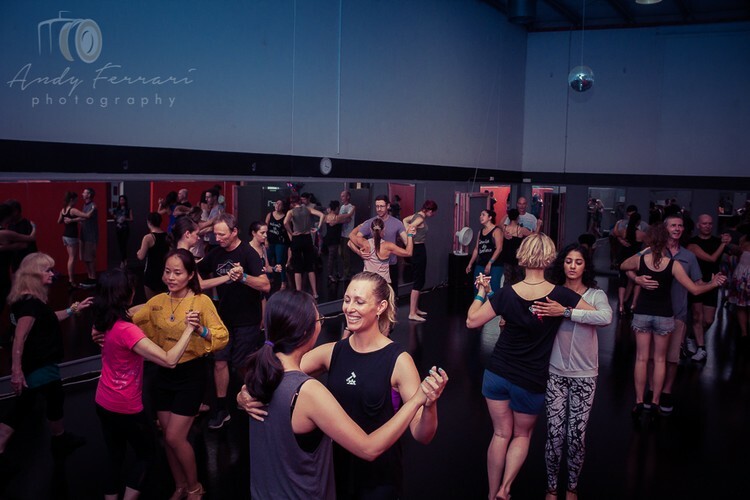 Is your New Years resolution to learn to partner dance? This free introduction class to the Brazilian Samba de Gafieira is fun and easy to learn dance. If you like it return the following week to extend your skills and become a very confident dancer. Our teachers are there to support you all the way as too are our community of like-minded dancers. Samba de Gafieira (also called Gafieira) is a partner dance to the Brazilian samba musical rhythms and must be distinguished from the ballroom Samba, danced in International Latin and American Rhythm ballroom dance styles. It appeared in the 1940s and it gets its name from the Gafieira – popular urban nightclubs of Rio de Janeiro at that time. The steps are done on a short-short-long (quick-quick-slow) tempo.